Charles University is the oldest and largest university in the Czech Republic. 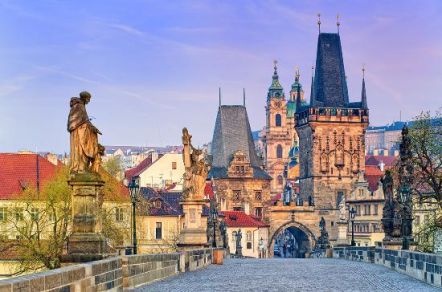 Founded in 1348, it was the first university in Central Europe. It is one of the oldest universities in Europe in continuous operation, and among the leading universities in Europe, ranking among the upper 1.5 percent of the world’s best universities. The First Faculty consists of around 80 institutions and departments and a teaching hospital with more than 3,000 beds. The teaching staff consists of over 500 people, including over 50 professors, over 120 associate professors and more than 400 assistant professors and instructors. Societies and Associations are available, such as UAEM – Universities Allied for Essential Medicines. This is a multidisciplinary international student organisation that works to improve access to essential medicines and ensures research into diseases affecting people in developing countries. Students are accepted upon successfully completing an entrance exam and interview. To be able to sit the entrance examination students should have completed 3 A Levels (or equivalent) and should have or be predicted minimum 3 grade C’s or above. Two of these A Levels must be Chemistry and Biology. Candidates should also have AS Level Maths or Physics. For those who do not meet this criteria the Medical Foundation year is available. If unsure that you meet the requirement please contact us to check.